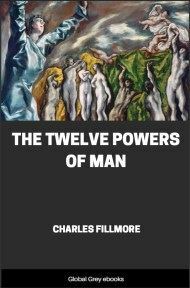 Way before the Law of Attraction became a popular phrase, Charles Fillmore was teaching and writing about prosperity through the creative power of thought. 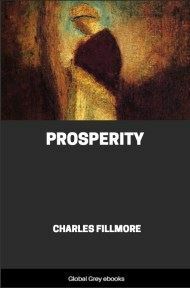 This book is a classic in that it's well-written, easy-to-understand, and very effective in conveying the idea that financial prosperity must first be created inwardly in mind and spirit before it is manifested in the physical. 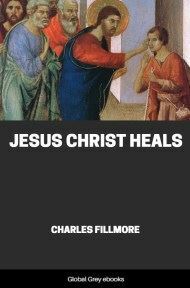 Using real stories, timeless spiritual truths, and divine wisdom, Charles Fillmore explains how anyone can use these eternal truths to attract prosperity and abundance. DIVINE MIND is the one and only reality. When we incorporate the ideas that form this Mind into our mind and persevere in those ideas, a mighty strength wells up within us. Then we have a foundation for the spiritual body, the body not made with hands, eternal in the heavens. When the spiritual body is established in consciousness, its strength and power is transmitted to the visible body and to all the things that we touch in the world about us. Spiritual discernment reveals that we are now in the dawn of a new era, that the old methods of supply and support are fast passing away, and that new methods are waiting to be brought forth. In the coming commerce man will not be a slave to money. Humanity's daily needs will be met in ways that are not now thought practical. We shall serve for the joy of serving, and prosperity will flow to us and through us in streams of plenty. The supply and support that love and zeal will set in motion are not as yet largely used by man, but those who have tested their providing power are loud in their praise. The dynamic power of the supermind in man has been sporadically displayed by men and women of every nation. 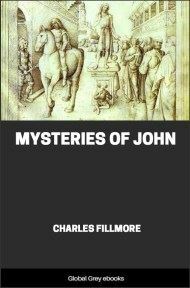 It is usually connected with some religious rite in which mystery and priestly authority prevail. The so-called "common herd" are kept in darkness with respect to the source of the superhuman power of occult adepts and holy men. But we have seen a "great light" in the discovery by physical scientists that the atom conceals electronic energies whose mathematical arrangement determines the character of all the fundamental elements of nature. 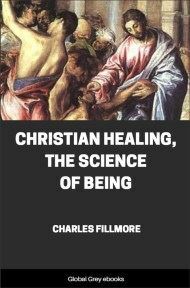 This discovery has disrupted the science based on the old mechanical atomic theory, but has also given Christian metaphysicians a new understanding of the dynamics back of Spirit. Science now postulates space rather than matter as the source of life. It says that the very air is alive with dynamic forces that await man's grasp and utilization and that these invisible, omnipresent energies possess potentialities far beyond our most exalted conception. What we have been taught about the glories of heaven pales into insignificance compared with the glories of the radiant rays--popularly referred to as the "ether." We are told by science that we have utilized very meagerly this mighty ocean of ether in producing from it the light and power of electricity. The seemingly tremendous force generated by the whirl of our dynamos is but a weak dribble from a universe of energy. The invisible waves that carry radio programs everywhere are but a mere hint of an intelligent power that penetrates and permeates every germ of life, visible and invisible. Scientific minds the world over have been tremendously moved by these revolutionary discoveries, and they have not found language adequate to explain their magnitude. 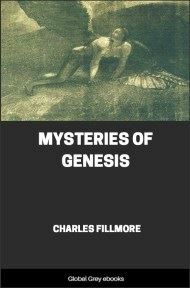 Although a number of books have been written by scentists, setting forth guardedly the far-reaching effects that will inevitably follow man's appropriation of the easily accessible ether, none has dared to tell the whole story. The fact is that the greatest discovery of all ages is that of physical science that all things apparently have their source in the invisible, intangible ether. What Jesus taught so profoundly in symbols about the riches of the kingdom of the heavens has now been proved true. According to the Greek, the language in which the New Testament has come down to us, Jesus did not use the word heaven but the word heavens in His teaching. He was not telling us of the glories of some faraway place called "heaven" but was revealing the properties of the "heavens" all around us, called both "space" and "ether" by physicists. He taught not only its dynamic but also its intelligent character, and said that the entity that rules it is within man: "The kingdom of God is within you." He not only described this kingdom of the heavens in numerous parables but made its attainment by man the greatest object of human existence. He not only set this as man's goal but attained it Himself, thereby demonstrating that His teaching is practical as well as true. The scientists tell us that the ether is charged with electricity, magnetism, light rays, X rays, cosmic rays, and other dynamic radiations; that it is the source of all life, light, heat, energy, gravitation, attraction, repulsion; in short, that it is the interpenetrating essence of everything that exists on the earth. In other words, science gives to the ether all the attractions of heaven without directly saying so. Jesus epitomized the subject when He told His followers that it was the kingdom from which God clothed and fed all His children. "Seek ye first his kingdom, and his righteousness; and all these things shall be added unto you." Science says that the electrical particles that break into light in our earth's atmosphere are also a source of all substance and matter. Jesus said that He was the substance and bread that came from the heavens. When will our civilization begin really to appropriate and use this mighty ocean of substance and life spiritually as well as physically? This inexhaustible mind substance is available at all times and in all places to those who have learned to lay hold of it in consciousness. The simplest, shortest, and most direct way of doing this was explained when Jesus said, "Whosoever ... shall not doubt in his heart, but shall believe that what he saith cometh to pass, he shall have it." When we know that certain potent ideas exist in the invisible mind expressions, named by science both "ether" and "space" and that we have been provided with the mind to lay hold of them, it is easy to put the law into action through thought and word and deed.